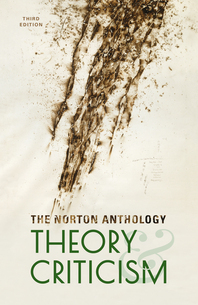 The Norton Anthology of Theory and Criticism - Description | W. W. Norton & Company Ltd. The gold standard anthology for anyone who wants to understand the development and current state of literary theory. Offering 191 pieces by 157 authors, The Norton Anthology of Theory and Criticism, Third Edition, is more comprehensive and more varied in its selection than any other anthology. Forty-eight NEW selections—concentrated mostly on the twentieth and twenty-first centuries—make the book not only the best overview of the history of theory, but also a remarkably up-to-date portrait of the state of theory today.